We compared sexual behaviors/partnerships and determined sexual risk correlates associated with HIV by gender among street-recruited drug users using chi-square tests and logistic regression. Men reported higher risk sexual behaviors, yet fewer high-risk sexual partners than women. After adjustment, HIV seropositive men were more likely than seronegatives to be older, MSM, use condoms, and have an HIV-infected partner. HIV seropositive women were more likely to be older, have an HIV-infected partner, and not use non-injected heroin. IDU was not associated with HIV. 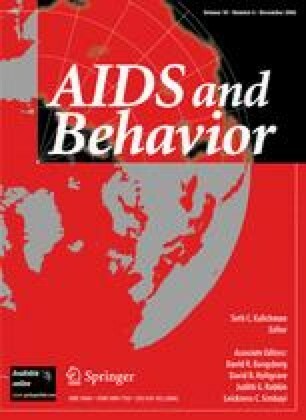 Prospective studies are needed to determine how gender-specific sexual behaviors/partnerships among drug users affect HIV acquisition. The authors would like to thank the study participants and the New York Academy of Medicine storefront and mobile unit staff. This study was funded by National Institute on Drug Abuse: DA 13146 and DA 12801.